The lovely, sunny winter days are continuing, and I am still being woken up every day by the sound of spiny-cheeked honeyeaters outside my window – heaven! I’ve also had a grey butcherbird in the garden, who I think has been feasting on mice. I have a few aviaries in my back garden and there have been a few mice around, but thanks to the grey butcherbird there are a few less mice to contend with. I’ve been visiting a friend in Lennox Head, near Byron Bay, so have escaped the winter chill for a week. I have Kevin to thank for a local observation, as he saw 11 pied oystercatchers near the pier at St Leonards. 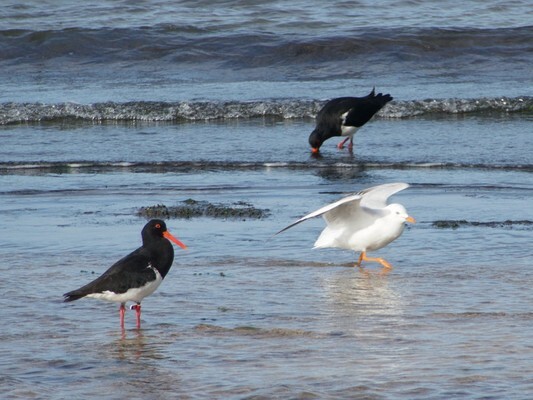 One of the oystercatchers had an orange band on the leg, and another had a yellow band. 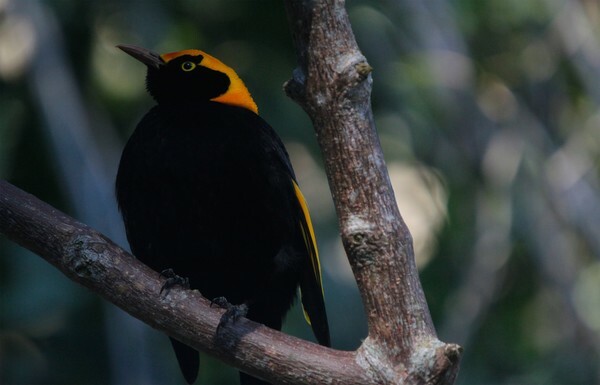 The orange band signifies that the bird was banded in Victoria, and the yellow leg band is a South Australian band. The bands allow researchers to collect data on bird movements, age and survival rates. If you spot a wader with bands you can report the sighting to the Australian Wader Studies Group through their website found at www.vwsg.org.au/index.html. Thanks Kevin for your photos and email. I think that many people from Ocean Grove flew north for the holidays, as I bumped into some familiar faces on my travels. I stayed in Lennox Head and had a lovely time exploring that area. I heard the familiar sounds of fan-tailed cuckoos as I walked around, so once again I went cuckoo. 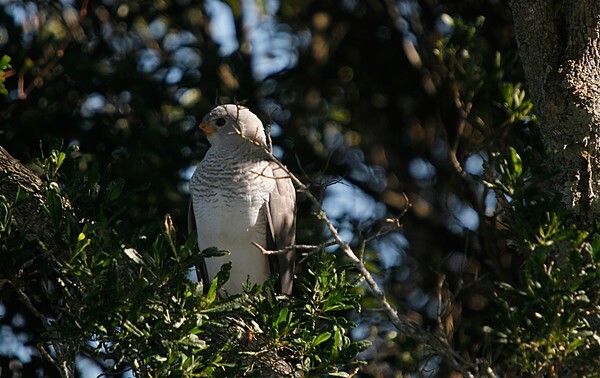 The biggest and best cuckoo I saw was a pheasant coucal, which was on the road and my friend just managed to avoid it as she drove (thank goodness). I woke early every day and walked to the Lennox Heath, which was 1km or so from the house. The heath was just alive with birds, such as bar-shouldered doves, white-cheeked honeyeaters, eastern spinebills, little wattlebirds, scaly-breasted lorikeets, rainbow lorikeets, superb fairy wrens, eastern whipbirds, variegated fairy wrens and brown thornbills. I learned that white-cheeked honeyeaters were very skittish and didn’t hang around for a photo. 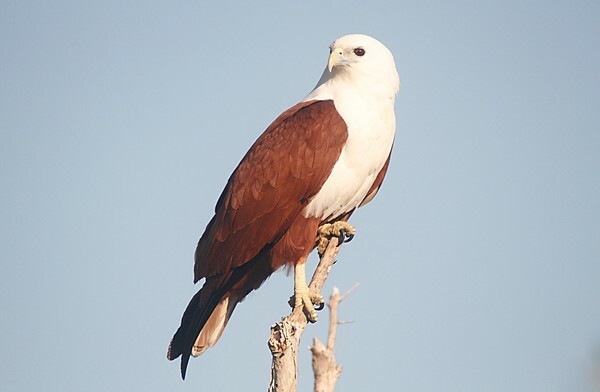 One bird that did pose was a magnificent brahminy kite. I saw it land in the heath and kept taking photos as a crept closer, and it didn’t fly away until I was a metre or so away from it – wow. I didn’t see any blue-faced honeyeaters in the heath, as they seemed to prefer the gardens as a source of food. One bird I looked for and failed to see was a red-backed fairy wren – this bird does not want to show itself for me at all. Another bird I spotted in Lennox Head itself was a noisy pitta, which was hiding in the thick scrub on the headland. It was almost impossible to take a photo in the dark rainforest – but I did take manage an outline of the bird to prove that I saw it. Wow! We went to Lamington National Park and stayed at O’Reillys Rainforest Retreat for a night. We saw some amazing birds such as the regent bowerbird, Albert’s lyrebird, grey morph grey goshawk, yellow-throated scrubwren, and the Australian logrunner. I was in heaven! We were walking along a track and I said to my friend’s son “I hope we see a lyrebird” and he said “like this one?”. I thought that he was joking, but sure enough there was a lyrebird just next to the track. It was so dark and the bird ran away so quickly that I didn’t get a photo, but three pairs of eyes saw the bird very well, so it was a lovely moment. I hadn’t been to Byron Bay and Lennox Head for years, and what struck me was the amount of development that has occurred in the area over the past 10 years. Byron Bay was so crowded in the holidays. There is so much pressure on animals and birds in that area. I hope that the Lennox Head Heath survives as housing developments are creeping closer and closer. It reminded me of the Armstrong Creek development that is so close to Lake Connewarre. Byron Bay seemed a bit unkempt and the bush that we walked through on the way to the lighthouse was full of rubbish (and not full of birds). 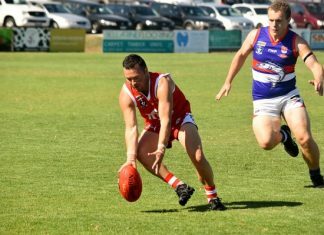 There has been a meeting organised to form a new community group in Ocean Grove, namely the Friends of Yellow Gums Ocean Grove. The meeting will be held on Tuesday 25 July from 7pm to 9pm, and will be held at the Ocean Grove Library meeting room, Presidents Avenue, Ocean Grove. No RSVP is required. If you need any further details you can email Matt Crawley from the Bellarine Catchment Network at matt.bcn@environmentbellarine.org. If you are interested in any organised bird watching activities you can access the calendar of events run by the Bellarine Birdlife Group at www.birdlife.org.au/locations/birdlife-bellarine-peninsula.